This is provided for folks who bought the book in audio format. We realize that listening to the resources and typing them in can be a pain in the neck. So here are the resources mentioned for each chapter. Your feedback and corrections are welcome. Several products are mentioned in this book. A mention is not an endorsement. I’m just presenting the world as I see it. I expect you to take this information, mix in your own experience, see how it fits with your business model, and make your own decisions. Service…Even When You Don’t Feel Like It!…Even When They Don’t Deserve It! – The Network Documentation Workbook. 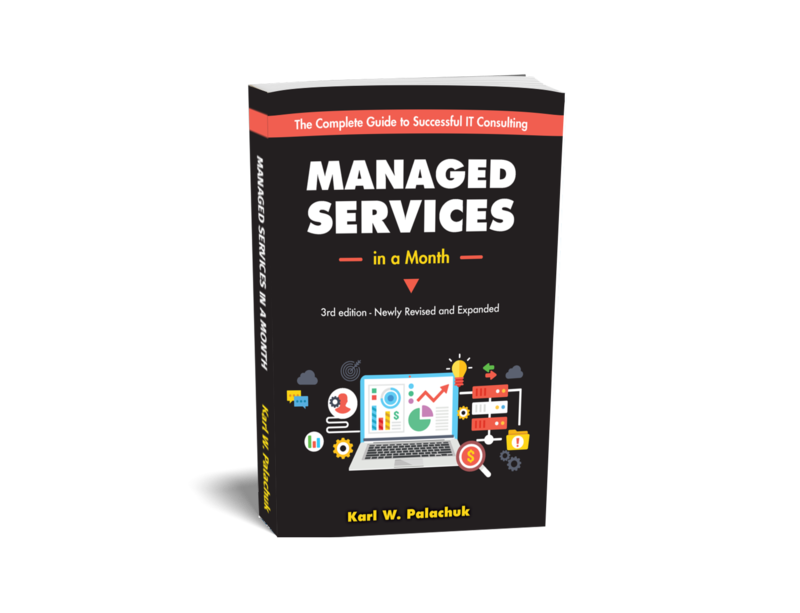 – The Guide to a Successful Managed Services Practice. – The Best IT Sales & Marketing Book Ever! US Small Business Administration: Thinking of Starting a Business? Sign Up for Karl’s Email List! This list covers upcoming events, seminars, news, and “what’s happening” in the SMB Consulting space. Very low volume. One email a week and fewer than ten other emails throughout the year. Great Little Book Publishing Co., Inc.